Move in Today! Enjoy the sight & sound of the waves as they brush across the shoreline...even while lying in bed. The epitome of luxury and relaxation co-exist in this picture perfect beach house. 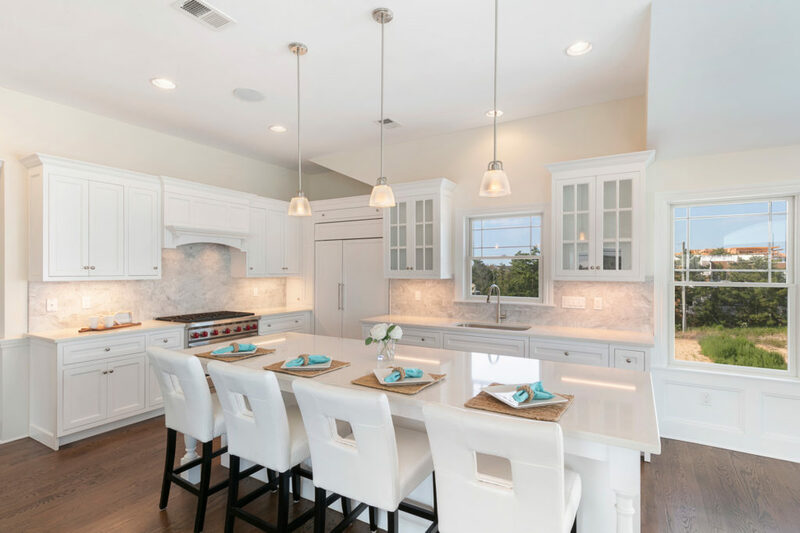 This island-inspired 4000+/- sq. ft. estate boasts 6 bedrooms, 5 full baths, 2 half baths, including 4 en-suites. Renown contractor Keith Stacy paired up with Studio Tagland Architecture to seamlessly integrate the indoors with the outdoors. 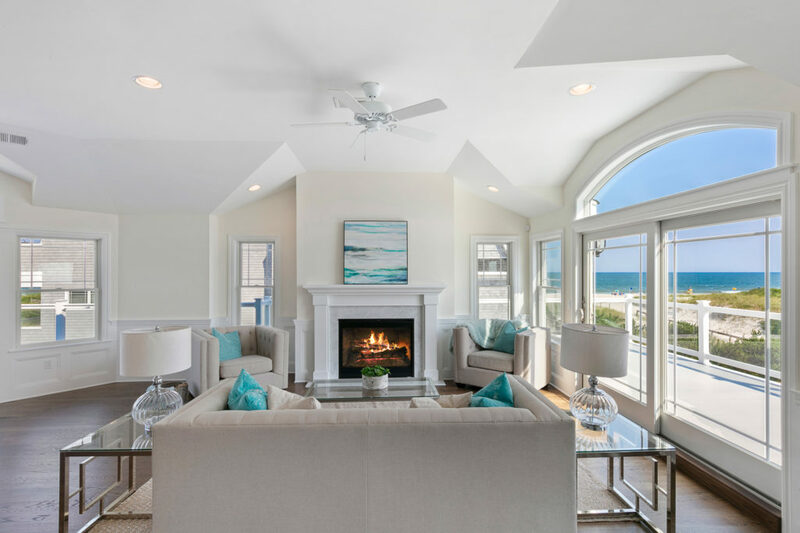 The remarkably generous and open floor plan is dominated by dramatic 10' ceilings with walls of glass that lead to wraparound decks allowing you to soak in glistening ocean vistas. The fully equipped kitchen comes with the finest culinary conveniences including matching paneled subzero and Bosch dishwasher, Wolf 6-burner gas range, Island wine cooler and is adorned with handmade cabinetry and Carrara marble quartz counters, then flows to the DR, with walls of windows giving way to endless water views. 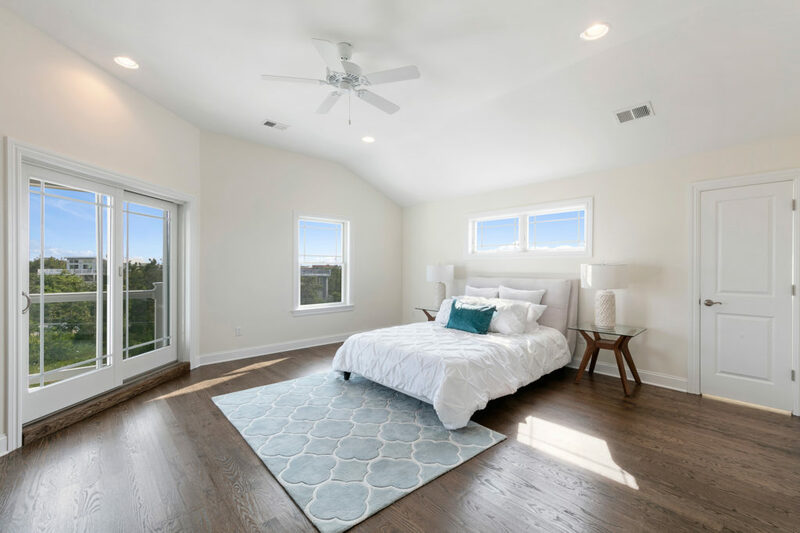 Sharing the top floor, the generously sized luxurious master suite boasts an ocean view deck and a master bath with double vanities, a relaxing soaking tub and an oversized shower with multiple sprays for soothing every muscle need. The gorgeous 1st-floor family room offers furniture quality finishes from the raised paneling to the coffered ceilings. This welcoming space is flanked by glass doors to a covered deck and a sweeping open staircase to the main level. The well thought out design continues with 5 spacious bedrooms, that offer 3 en-suites and side-by-side bedrooms with their own full bath. 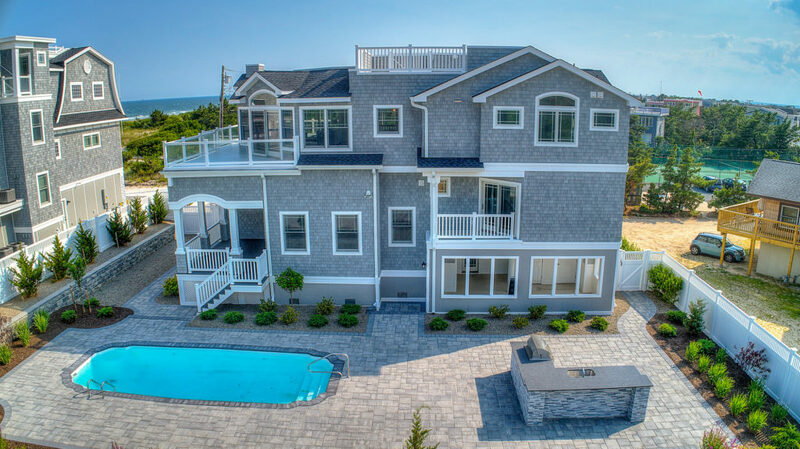 This creative design continues to awe as the ground level gives way to the inviting heated saltwater pool with a fully equipped outdoor kitchen. Wisely incorporated in the structure is a 4 stop elevator permitting access to each floor beginning at ground level in the 2 car garage. This spectacular seaside dwelling is the perfect family retreat just steps to the sand and surf.